St. Louis Park movers depend on Metcalf Moving. We have served the moving needs of the community since 1919. 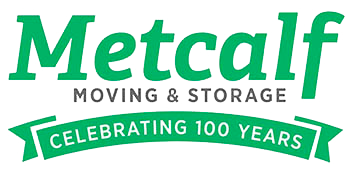 Almost 100 years ago we started as a local moving company in the Twin Cities, and since then Metcalf Moving has grown to be the professional mover for St. Louis Park, MN Movers as well. If you are relocating locally or you have an interstate move coming up, count on Metcalf for all your relocation needs. Metcalf Moving full-service move option takes care of everything. We pack your belongings at your old home and load the truck. Then we transport your belongings, unload the truck, and unpack at your new home. 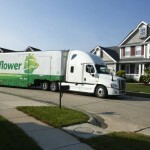 From move out to move in, we take care of all your local or long distance move needs. When you work with Metcalf you will have a personal move coordinator who will arrange every aspect of your move. For the least stressful moving experience, consider full-Service moving from Metcalf Moving. St. Louis Park Household movers who want to handle some or most of the move themselves, we can provide just the moving services you need. Metcalf can handle just the larger items or as much of the move as you would like. Contact Metcalf Moving to arrange customized moving services that meet your relocation needs. Sometimes your new home is not ready for you to move in. When this happens, you can arrange storage at Metcalf Moving’s secure climate controlled warehouse. Take a look at our storage options. Looking for the best interstate moving partner? Metcalf Moving is the St. Louis Park, MN long distance agent with Mayflower Transit. We are part of an interstate agent network that will ensure your long distance move experience is stress-free as possible. Learn more about our long distance moving services. Moving to a new country? 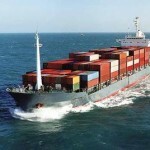 International movers count on Metcalf Global Relocation professional. We ensure your household belongings are properly freighted from St. Louis Park to your new country. We are also highly experienced managers of the required documentation for global relocations. Count on our knowledge to handle your international move from start to finish. Learn More.